1I will praise thee, O LORD, with my whole heart; I will shew forth all thy marvellous works. 2I will be glad and rejoice in thee: I will sing praise to thy name, O thou most High. 3When mine enemies are turned back, they shall fall and perish at thy presence. 4For thou hast maintained my right and my cause; thou satest in the throne judging right. 5Thou hast rebuked the heathen, thou hast destroyed the wicked, thou hast put out their name for ever and ever. 6O thou enemy, destructions are come to a perpetual end: and thou hast destroyed cities; their memorial is perished with them. 7But the LORD shall endure for ever: he hath prepared his throne for judgment. 8And he shall judge the world in righteousness, he shall minister judgment to the people in uprightness. 9The LORD also will be a refuge for the oppressed, a refuge in times of trouble. 10And they that know thy name will put their trust in thee: for thou, LORD, hast not forsaken them that seek thee. 11Sing praises to the LORD, which dwelleth in Zion: declare among the people his doings. 12When he maketh inquisition for blood, he remembereth them: he forgetteth not the cry of the humble. 14That I may shew forth all thy praise in the gates of the daughter of Zion: I will rejoice in thy salvation. 15The heathen are sunk down in the pit that they made: in the net which they hid is their own foot taken. 16The LORD is known by the judgment which he executeth: the wicked is snared in the work of his own hands. Higgaion. Selah. 17The wicked shall be turned into hell, and all the nations that forget God. For the needy shall not always be forgotten: the expectation of the poor shall not perish for ever. 19Arise, O LORD; let not man prevail: let the heathen be judged in thy sight. 20Put them in fear, O LORD: that the nations may know themselves to be but men. Selah. 1Why standest thou afar off, O LORD? why hidest thou thyself in times of trouble? 2The wicked in his pride doth persecute the poor: let them be taken in the devices that they have imagined. 3For the wicked boasteth of his heart’s desire, and blesseth the covetous, whom the LORD abhorreth. 4The wicked, through the pride of his countenance, will not seek after God: God is not in all his thoughts. 5His ways are always grievous; thy judgments are far above out of his sight: as for all his enemies, he puffeth at them. 6He hath said in his heart, I shall not be moved: for I shall never be in adversity. 7His mouth is full of cursing and deceit and fraud: under his tongue is mischief and vanity. 8He sitteth in the lurking places of the villages: in the secret places doth he murder the innocent: his eyes are privily set against the poor. 9He lieth in wait secretly as a lion in his den: he lieth in wait to catch the poor: he doth catch the poor, when he draweth him into his net. 10He croucheth, and humbleth himself, that the poor may fall by his strong ones. 11He hath said in his heart, God hath forgotten: he hideth his face; he will never see it. 12Arise, O LORD; O God, lift up thine hand: forget not the humble. 13Wherefore doth the wicked contemn God? he hath said in his heart, Thou wilt not require it. 14Thou hast seen it; for thou beholdest mischief and spite, to requite it with thy hand: the poor committeth himself unto thee; thou art the helper of the fatherless. 15Break thou the arm of the wicked and the evil man: seek out his wickedness till thou find none. 16The LORD is King for ever and ever: the heathen are perished out of his land. 18To judge the fatherless and the oppressed, that the man of the earth may no more oppress. · Psalm 10 has no words at the top about David or music. This is not usual in a psalm by David. · Hebrew words that David did not often use are in Psalms 9 and 10. · Psalms 9 and 10 make one acrostic. Acrostic psalms use the Hebrew alphabet. The first bit starts with the first letter. The second bit starts with the second letter. This happens until the alphabet finishes. Look at Psalm 9 below. Then you will understand. We have used English letters. These are not the same as Hebrew ones. After a time some of the letters became lost or mixed up! Also, the Jews decided to make them into 2 psalms. Some Christians have put them back together as one psalm, for example, some Roman Catholics. It is difficult to write an acrostic psalm. The words sometimes go in a strange order. This makes them hard to understand. It may give you help if you change the order of the words. In verse 3 you could say “My enemies went back” instead of “Back my enemies went”. It means the same. The leader (must use the music) ‘Death to the son’. v1 All my heart sings ‘thank you’ to the LORD. I will tell (people) of all your wonderful work. v2 I will be very happy with you, (LORD). I will rejoice in you. I will sing praises to your name, Most High God. v4 because you judged that what I did was right . You sat on your throne. You made a righteous judgment. v5 Clearly you judged the nations and destroyed the wicked. People will never remember their names. v6 You caught the enemy. You killed them. You knocked down their cities. People will just forget them. v7 Evermore the LORD will rule. He has built his throne. On it he will make his judgments. v8 He will make righteous judgments for the world. His government will give justice to the people. v9 For the LORD is a place where the oppressed can hide. He will be a fortress in times of trouble. v10 Everyone that knows your name (LORD) will put their trust in you. LORD, you will never turn away from anyone that looks for you. v11 Go to the LORD with praises. His throne is in Zion. Tell all the nations all that he has done. v12 (God) will remember the people that somebody murdered. He will not forget the oppressed people that cry to him. v13 Have mercy on me, LORD. See how my enemies make my life very difficult. Make me safe from the gates of death. v14 Then I will tell your praises in the gates of Jerusalem. I will rejoice that I am safe with you. v15 Into the hole that they dug the nations fell. They caught their own feet in the net that they hid. v16 You will recognise the LORD by his justice. The enemies of God will catch themselves in their own nets. so will all the nations that forget him. v18 Know this: God will not always forget the poor. The oppressed will not have to hope for evermore. v19 LORD, stand up! Do not let men become too powerful. Let the nations find justice before you. v20 LORD, make them afraid. Make the nations know that they are only human. The psalms are Hebrew poetry. Poetry is when people write the words in a special way. They sound very beautiful. The Jews had a lot of rules for writing poetry. One was to make the ends of the words sound like each other. We call this “rhyming”. Another rule was to make the ideas sound like each other. Look at Psalm 9: 8. The 2 parts of the verse mean the same. This often gives us help to understand and to translate a psalm. Another way the Jews wrote poetry was to use an acrostic. This often made the words come in the wrong order, like Psalm 9: 3. Not many of the psalms are acrostics. The most famous one is Psalm 119. The others are 25, 34, 37, 111, 112, and 145. We do not usually translate them into English as acrostics, because there are 26 letters in the English alphabet. There are only 22 in the Hebrew alphabet. We have done it with psalms 9 and 10 because some of the letters are missing. This makes it easier for us! v1 LORD, why are you standing so far away? v2 In his pride the wicked man tries to catch helpless people. I hope that wicked people catch themselves with their bad plans! v3 The wicked boasts about what he wants. He says good things about those that want more than is fair. He says very bad things about the LORD. v4 In his pride, the wicked does not look for God. He will not even think of God. v5 Everything that the wicked does always works well. He puts the rules of God far from him. He laughs at the people that do not like him. v6 He says to himself, “There will be no trouble for me. Nothing bad will ever happen to me or to my children”. v7 His mouth makes bad promises. It is full of words that are not true. He says that he will do very bad things to people. There is evil on his tongue. v8 He hides behind the bushes near the villages. He watches in secret for people to hurt. He jumps out and murders people that have done nothing wrong. v9 He lies like a lion under the cover of a bush. He waits to catch someone that is helpless. He does catch him and takes him away in his net. v10 He beats the helpless man. The helpless man fails and falls under the stronger man. v11 He says to himself, “God forgot. He hid his face. He never saw what happened”. v12 Rise up, O God! Lift up your hand. Do not forget the helpless people. v13 Why does the wicked man say such bad things about God? Why does he think, ‘God will not do anything about it’? Decide what to do about it. The helpless puts his trust in you. You give help to the fatherless. v15 The arm of the wicked and evil man . . . break it (LORD)! Tell him to explain what he has done. He thought that you would not discover it! v16 The LORD will always be king. The nations will not remain in his land for evermore. v17 You hear, LORD, what oppressed people want. You listen when they pray. You give them something to hope for. v18 You care for the fatherless and the oppressed. People from the earth will not frighten the poor again. Not all the letters of the acrostic are here! D is not here. Perhaps somebody changed some words into other words that meant the same. If you find the acrostic difficult, here is some help. Psalm 9: 1 – 6: David is very happy. He says, “thank you” to the LORD. Why? Because David beat his enemies. David knew that God gave him help. It was God that really beat the enemies, not David on his own! God judged that David was right and the enemies wrong. The enemies were probably the Philistines. Goliath was a Philistine. · look for the LORD: if we do this, the LORD will find us! Many people will not like this! As they made life difficult for David, so they will for us. So we must pray, ‘Have mercy on me, LORD’. These are the words that some Churches still pray in Greek: KYRIE ELEISON. God’s mercy is when he is loving and kind to us, and not angry. When there is trouble in your country, pray to God about it. Your country may fight another country. Pray to God about it. Pray for your government and your soldiers. Some of them may be Christians. Pray for justice. It may not matter which country wins. What matters is that God still rules the world. When you pray, talk to God in your own words. You can see that the acrostic is incomplete. “Incomplete” means that it is not all there. The psalm is all there, though. A few words became changed. They still mean the same thing. Psalm 10: 1 – 7: In Psalm 9 we read about the enemy of God. He was also the enemy of David. The enemy was probably a foreign country. In Psalm 10 we read about the wicked man, or the wicked. They were people that lived in David’s country. Perhaps some of them were women. They wanted more that it was fair for them to have. They made plans to take things from people that were helpless. Some of these helpless people were people of God. Sometimes they felt that God did not care any more. Psalm 10: 8 – 11: The wicked man is like a wild animal called a lion. They kill for what they can get. In Psalm 10:11 we do not know if “he” is the bad man or the helpless man. The Hebrew Bible just says “he” . Both people felt that God was not looking. When there is trouble pray to God about it. There may be unrest in your own country. Pray to God about it. You may feel frightened. You may not feel safe. Pray to God about it. Then read Psalm 10:16-18. Believe that one day it will be true. That is the promise of God to you. TO THE CHIEF MUSICIAN, UPON MUTH-LABEN. A PSALM OF DAVID or TO HE WHO GRANTS VICTORY, IMMORTALITY FOR THE SON, A PSALM OF DAVID. SON, EVEN MY FIRSTBORN>> [Exodus 4:22]. FORTH ALL THY MARVELLOUS WORKS. <>: In Hebrew “Odeh” meaning acknowledge. NAME, O THOU MOST HIGH. WICKED, THOU HAST PUT OUT THEIR NAME FOR EVER AND EVER. of ALL ISRAEL in a collective sense. THOU HAST DESTROYED CITIES; THEIR MEMORIAL IS PERISHED WITH THEM. MINISTER JUDGMENT TO THE PEOPLE IN UPRIGHTNESS. When you are in trouble and you pray to the Almighty He will help you. somehow direct oneself towards the Almighty. THOU, LORD, HAST NOT FORSAKEN THEM THAT SEEK THEE. If you search you will find and be helped and be of help to others. AMONG THE PEOPLE HIS DOINGS. ourselves and our own survival and that of our family. HE FORGETTETH NOT THE CRY OF THE HUMBLE. corresponding duties laid upon them. Judah and Israel is the enemy of the Almighty. DAUGHTER OF ZION: I WILL REJOICE IN THY SALVATION. NET WHICH THEY HID IS THEIR OWN FOOT TAKEN. Our enemies will fall in their own traps. WICKED IS SNARED IN THE WORK OF HIS OWN HANDS. HIGGAION. SELAH. is eternal life but through sin this can be forfeited. OF THE POOR SHALL NOT PERISH FOR EVER. wants you to be with Him in both this world and the next. 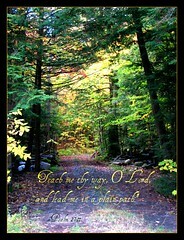 [Psalms 9:19] ARISE, O LORD; LET NOT MAN PREVAIL: LET THE HEATHEN BE JUDGED IN THY SIGHT. THEMSELVES TO BE BUT MEN. SELAH. A collection of 150 psalms, whose Hebrew name is “The Book of Praise.” Authors of individual psalms include David, Solomon, Moses, Asaph, and others who are anonymous. The variety and unity of Psalms have given this book a unique place in the devotional life of the individual and the Church. Almost every aspect of man’s relation to God is depicted in these poems, simple trust, the sense of sin, appeal to a higher power in time of trouble, and the conviction that the world is in the hands of a loving God.